Silhouette of a reindeer hiding under the HBA tiles. 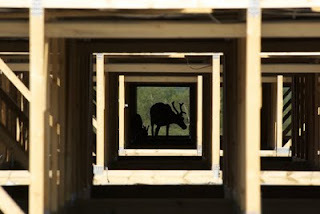 A while back, we had a post about Reindeer at the KAIRA site. This time we will post some more pictures of these animals which have found shelter under our HBA field. At any given moment during our cabling work, there were at least two reindeer under our antenna. They arrived on the day that we accidentally brought in some salted gritting sand to fill in one of the cable trenches. At first, they were a bit shy, but on the second week they were already feeling very much at home. So far there haven't been any problems with the reindeer. 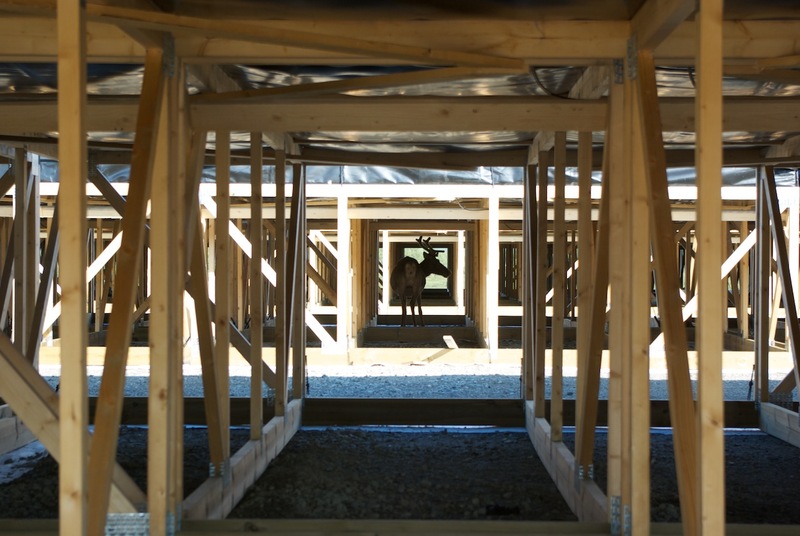 They have been very relaxed, and have grown to be very used to the kind people who obviously are building them a huge reindeer shelter. Little do they know that we have already put up most of the fence posts for our reindeer fence, which will hopefully be in place by the time mating season starts. This is when the reindeer get more aggressive, and might pose more risk to our radar receiver. At SGO, we have previously had problems with reindeer that think various antennas are competing male reindeer with fancy antlers that just call out for a duel. 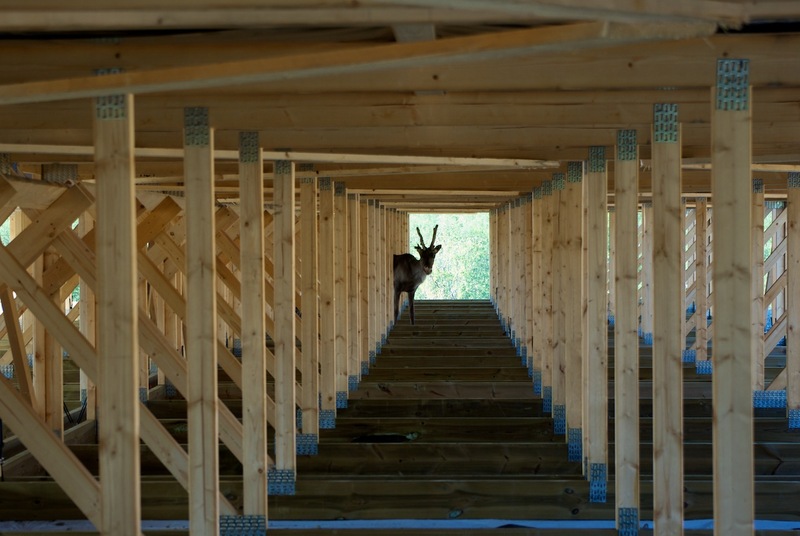 Already now there is a small risk of one of these guys getting their antlers tangles up in some of the cables, even though they are fairly well protected by the cable trays and ducts. Another one hiding under the tiles. Yet another one hiding under the tiles.